It's a great and worthy goal to save for retirement, but what happens when you hit a bump on life's highway and have to take some money back out? What are the rules for withdrawals when you reach retirement age and you're ready to enjoy the fruits of your labors? There are five main types of IRA withdrawals: early, regular withdrawals, required minimum distributions, Roth IRA withdrawals, and IRA rollovers or transfers. Somewhat different rules apply to each of them and various situations. IRAs are specifically designed to hold retirement savings. The IRS wants you to use the money for retirement, so if you withdraw funds from a traditional IRA early, before you reach age 59 1/2, a 10-percent early withdrawal penalty tax applies. "Traditional" is the key word here. 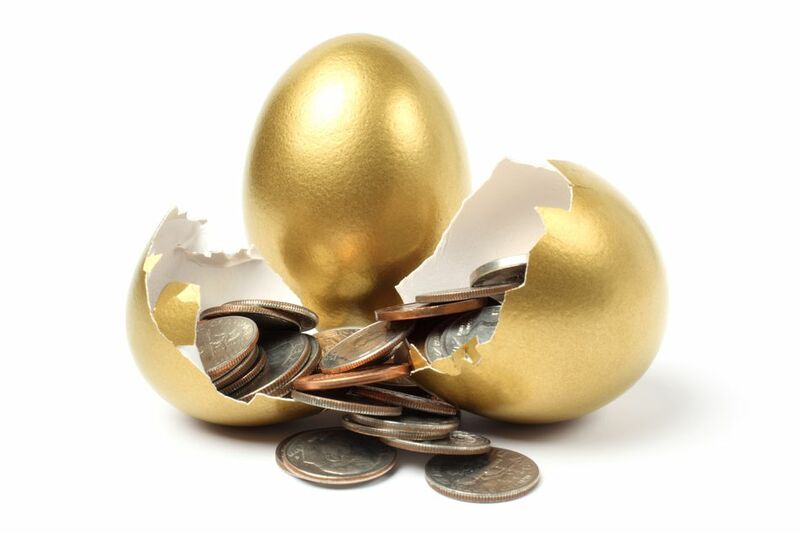 Different rules apply to Roth IRAs. You must report traditional IRA early withdrawals on your 1040 tax form and ordinary income taxes apply to this money as well. There are a few exceptions to the penalty tax, but no exceptions to the income tax. You may be able to avoid the penalty tax portion if your situation falls under the IRA withdrawal hardship rules. There's a lot of messy information out there about Roth IRA withdrawals. Are they tax-free? Sort of. The great thing about a Roth is that you can withdraw your original contributions—although not conversions or rollover amounts—at any time, at any age, with no taxes or penalties. But if you withdraw the investment gain portion early before age 59 /12 or before you've had the Roth for five years, taxes and penalties will apply. If it's a designated Roth account in a 401(k) plan, the rules are different. But if you follow the rules and use the Roth for your retirement years, then yes, withdrawals will be tax-free. You can take funds out of your traditional IRA and no penalty taxes will apply after you reach age 59 1/2. These are considered normal IRA distributions because you're using them for your retirement years. But the amount withdrawn is still included in your taxable income—you must report it on your 1040 tax form. The amount of tax you'll pay on an IRA distribution will depend on your tax bracket and your total taxable income after any deductions you can take that year. If your income is high, you'll pay taxes at a higher rate. If you have more deductions than you have income, you may pay no tax at all. The IRS requires that you start taking distributions from IRA accounts, 401(k)s, 403(b)s, 457 plans, and other tax-deferred retirement savings plans when you reach age 70 1/2. These required minimum distributions are often referred to as RMDs. The amount you must take changes each year because it's based on a formula using your age and the prior year-end account balance. You're not required to take RMDs from a Roth IRA if you own the account, but you will have to take an RMD each year if you inherit a Roth. When you roll over a qualified retirement account like a lump sum from a pension plan, 401(k), or 403(b) into an IRA, this is not technically a withdrawal. You can roll over accounts with no taxes or penalties, regardless of your age, if you follow the rules. When you move money from one IRA to another, this is called a transfer. If your IRA money goes directly from one financial institution to another and the money is never in your hands, transfers are tax- and penalty-free. Likewise, if the IRA funds come to you and you put them back into a qualified account within 60 days, you'll be spared the taxes and penalties. But you can only do this once every 12 months or it may be considered a taxable distribution. Be sure you understand the rollover and transfer rules for IRAs before you start moving money around. Mistakes can be expensive.